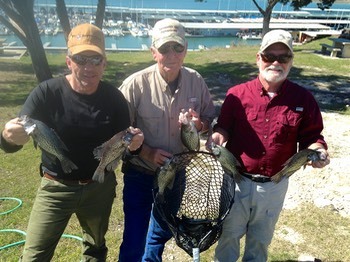 Becoming a better fishing guide requires constantly seeking feedback, listening to clients, and then changing to improve one's service. So in an effort to evolve to meet client requests, I have made three important changes. First, to offer more space to accommodate up to four anglers comfortably, I moved from a 19' boat to a 21' and added a remote controlled trolling motor along with a quiet four stroke engine. 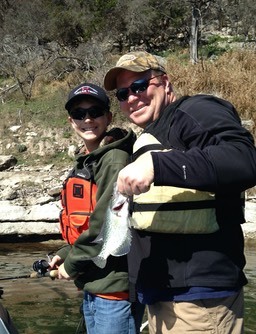 Second, and the hardest decision, was to schedule guided fishing trips on Sunday afternoons. There are many people who just do not have any other day to relax, so after much consideration and prayer, I decided to offer afternoon guided trips on Sundays. After making that decision a couple days ago, the next two Sunday afternoons are already booked. Caveat: the jury is still out on this one so if I feel it interferes with my relationship with God, I will stop. My goal is to be a Godly example to all my clients. Hopefully this change avails me another opportunity to expand my influence as a Christian. 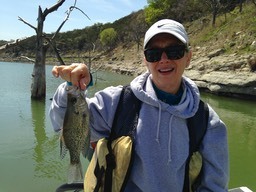 My third major change took a lot of extra time on the water but is already making numerous clients happy...guiding for crappie. 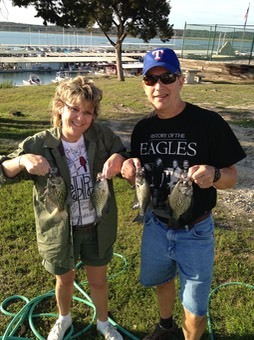 There is no question that I love bass fishing, so much so, that it's all I had ever marketed. 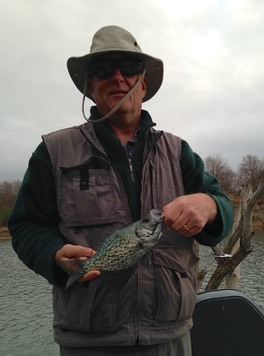 However, because the crappie requests had become more frequent the past couple years, I decided it was time to hone my crappie guiding skills, develop some solid sustainable productive strategies and begin marketing guided crappie trips this year. 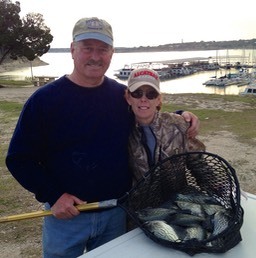 I will be the first to admit that Canyon Lake is not noted for its crappie fishing, nor fishing in general for that matter, and I was unwilling to offer this service until I could confidently put clients on fish. 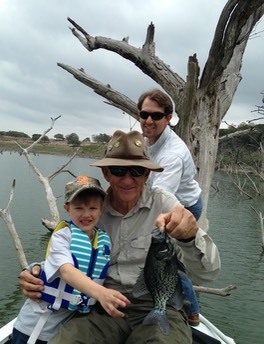 After one month of marketing and guiding for crappie on Canyon Lake, these photos speak to the success. Exchanging stress for relaxation, fun and memories is my motto because I know the importance of relationship building to families, friendships and businesses. 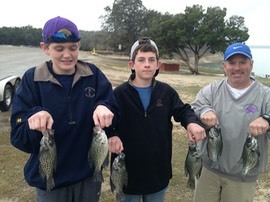 Crappie fishing is a fun, relaxing method of fishing for novice, youth, elderly and the experienced. 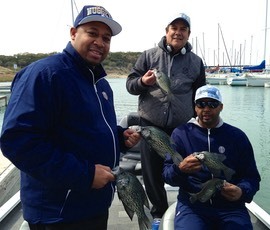 It's normally fast paced action that does not require a lot of casting or refined angling skills. 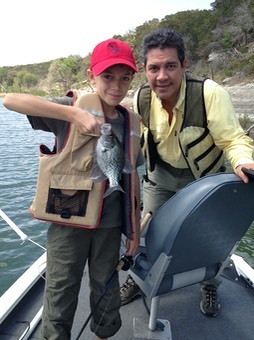 Kids can enjoy fishing with minnows and watching their bobber disappear while the more experienced anglers can use artificial lures and all can catch fish. 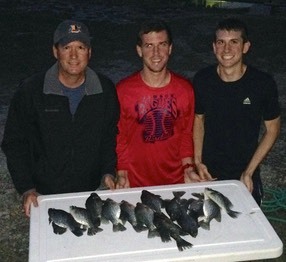 While bass fishing is more about the sport, crappie fishing leans more towards the table fare in conjunction with catching fish. At the end of the day, I will gladly fillet and bag your legal catch and it's hard to fine a milder or better tasting fish. 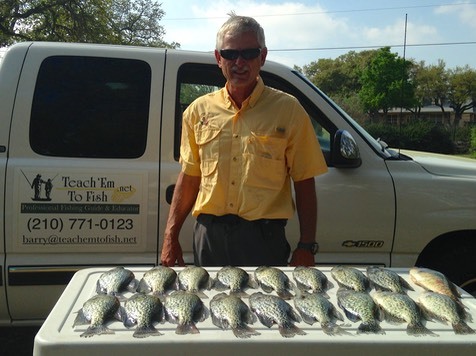 If have not experienced crappie fishing, need to build some relationships, want to exchange that stress for some relaxation and memories, schedule a crappie fishing trip with me right now. Life is too short...let's go have fun!